Top marbles for 2017 and their prices!!! Welcome to the company «Marbles Nikolaki». Compare and see through a simple graph all marbles based on their physical-mechanical properties. You will not find this application anywhere else in Greece. See and decide!!! Marble Simulation. With this application you can place the marble of your choice in the application area and see virtually how it will look !!! Frequent questions related to marbles, concerning placement, cleaning and maintenance of marbles. Calendar-Blog updated periodically for issues related to marbles and their use. The largest variety of Greek marble and import. From expensive marble Dionysos or Carrara as well as economically like the marbles of Kavala or Turkey. Murela- Finishes of marble. 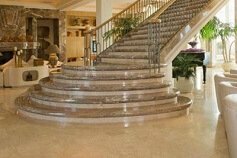 Here you will find all kinds of finishes that can be done on a marble through graphs and videos. Quiz Test. Play, have fun and see your knowledge about the marbles through 10 questions. Based in Athens we deliver the marbles from Crete to Thessaloniki and from Alexandroupolis to the world all over. 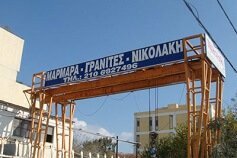 The company «Marbles Nikolaki» is one of the largest natural stone and technical companies in Greece. Over the years, the company the company has established itself as a pioneer in the manufacture and application of natural and technical products. With over 40 years of experience in the industry, we can proudly say that we have been specializing in the construction and installation of any natural and technical rock. 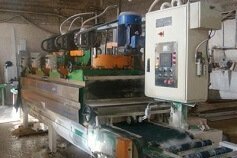 By combining a streamlined production process with Digital Laser and an inexhaustible stock of natural and quartz stone, we are one of the largest manufacturers of natural granite and quartz marble in Greece. Our products are always manufactured with the most precision and quality that’s why and we have faithful and satisfied customers. We hope you have a pleasant navigation and find what you are really looking for. For any questions you can call us at +30 210-68.27.496 and one of our representatives will be very pleased to serve you. STAINS IN MARBLES AND STONES. HOW TO REMOVE! Address: Agiou Orous 14 - Marousi, 15123, Athens.